Above: The Fish DownSea Party Skirts are deadly on pelagic species especially billfish when circle hook fishing. It is the only way to add color to your circle hook baits without impairing the hookup ratio on drop backs. The most popular way to rig the Party Skirt is through the eye cavity of your ballyhoo and allows the ballyhoo to swim as if it was naked. Above: The Fish DownSea Party Hats and Party Skirts are a favorite of Captain Ricky Wheeler when circle hook fishing. In this picture they are rigged the quick way by slipping the lure onto the hook via the o-ring on the lure. 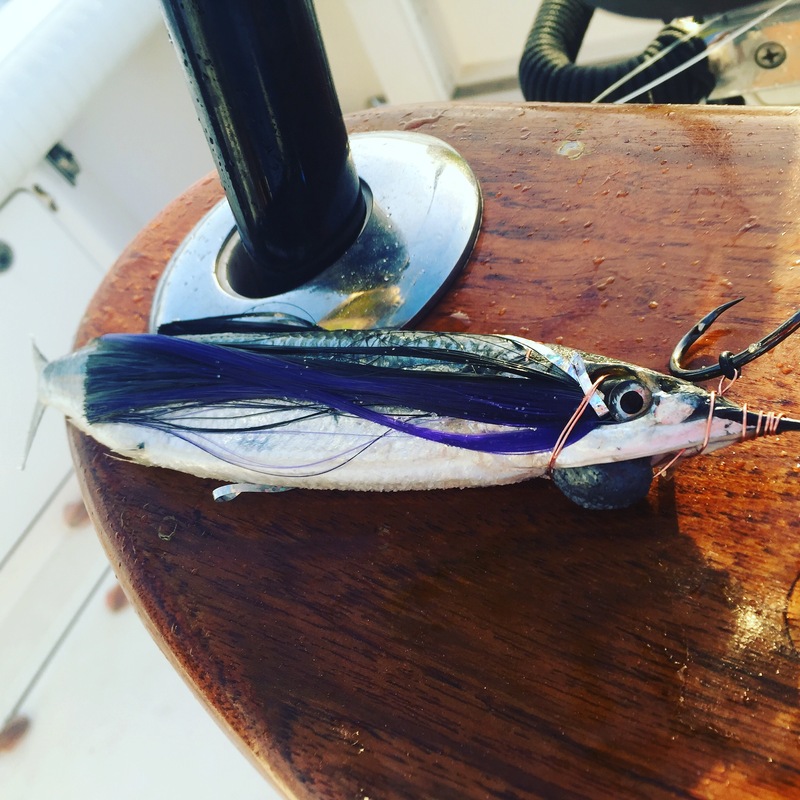 This gives your ballyhoo color and flash quickly and easily and gives your ballyhoo the skip skip swim swim action like a traditional sea witch – deadly on billfish, mahi, and tuna! Fish DownSea Tuna Flares Wired and Ready for wahoo on #9 wire with Mustad 7691 J Hooks.